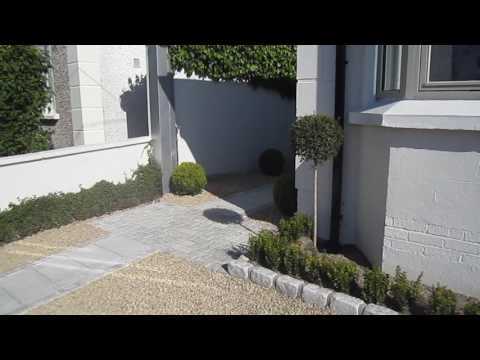 Landscaping.ie was set up by Kevin Baumann in the early nineties. 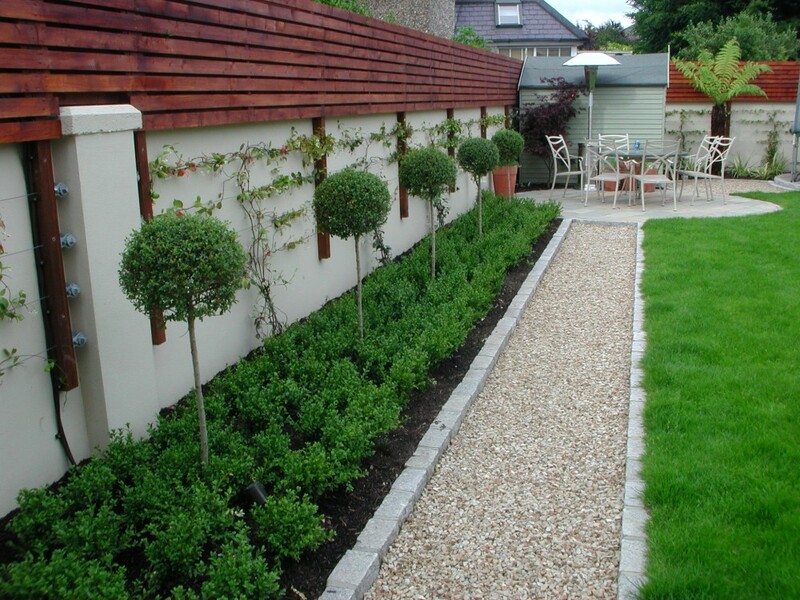 Kevin Baumann is one of Ireland’s premium Landscapers & Garden Designers. He has won many awards through the A.L.C.I. 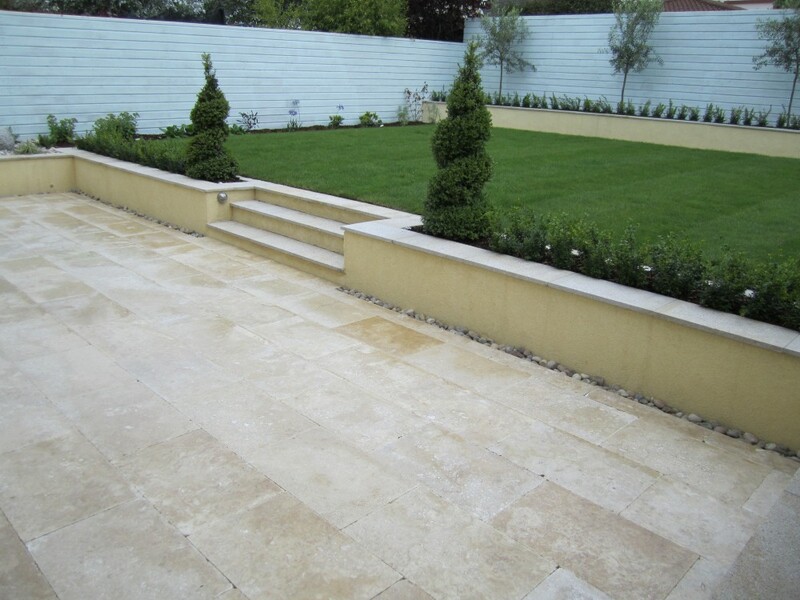 in competition with the best Landscapers & Garden Designers in Ireland. He has also created 2 show gardens winning gold in both. 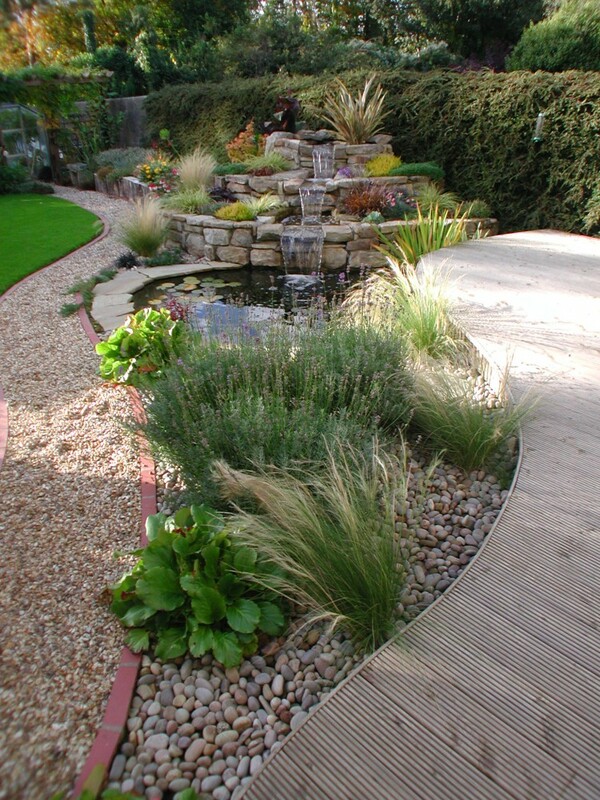 Inherent in the creation and design of his gardens is Kevin’s philosophy, that a beautiful garden requires an imaginative, functional design followed by careful plant selection, compatible planting and competent construction. Kevin is a graduate of both the National Botanic Gardens and the University of Leeds. He successfully completed the diploma course in the National Botanic Gardens in 1992, and in 1996 was conferred with an honors degree in horticulture from Leeds university. 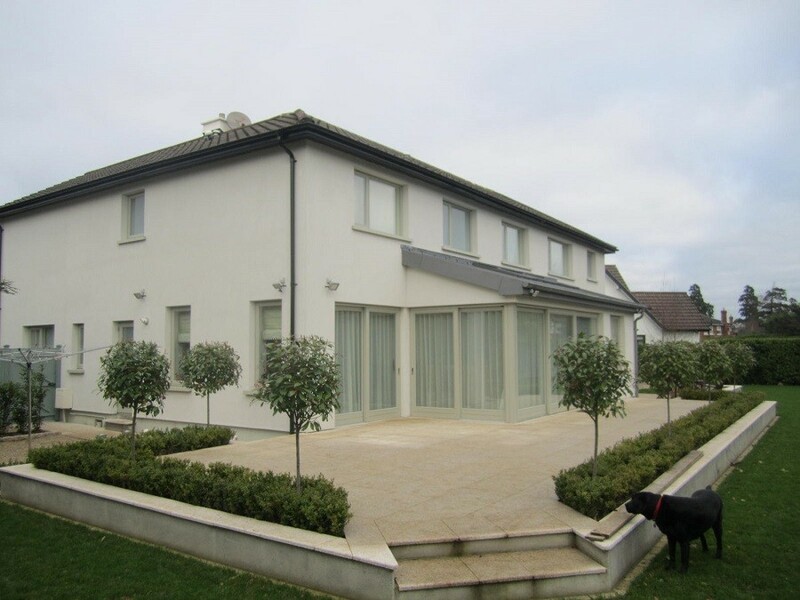 Landscaping.ie creates landscape designs and gardens not only to meet personal preferences and functional requirements, but also to incorporate client tastes, values and standards within the design. In other words Kevin seeks to capture the clients personality within the design itself to create a living extension of the client. When Kevin is commissioned you become the owner of a truly original, beautiful garden. Kevin is present personally on each job to ensure it. Kevin is a full member of the ALCI. 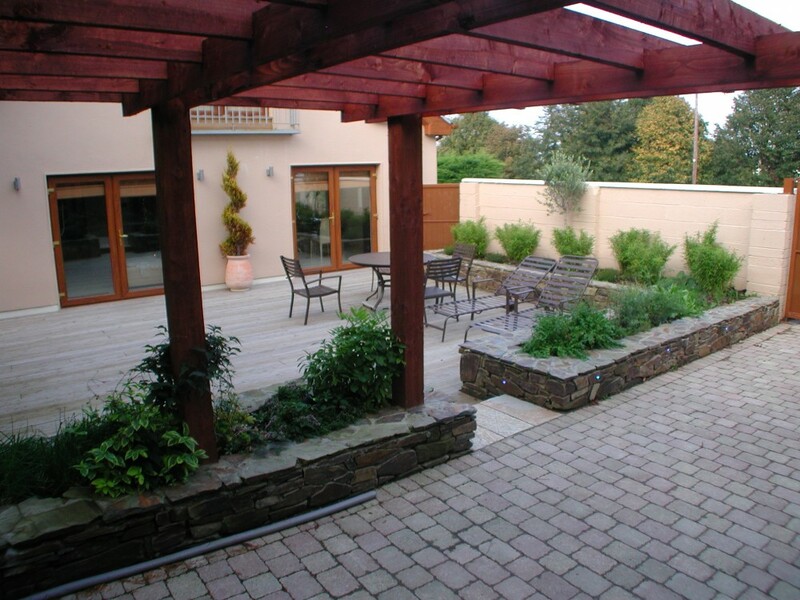 The ALCI is the leading professional body for landscape contractors in Ireland, with over 140 members. 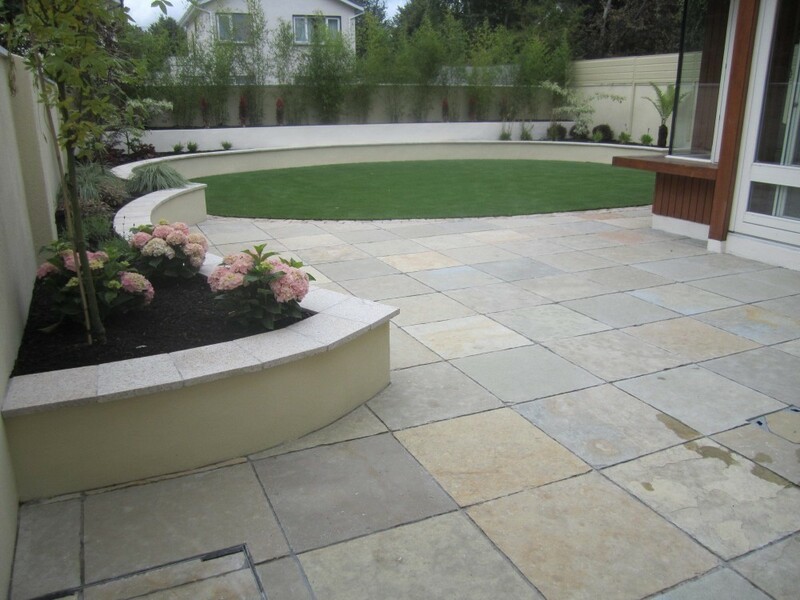 From its inception, it has endeavoured to improve quality and standards in the landscape industry in Ireland. On joining the ALCI, members are required to sign up to a code of conduct. This involves pledging to carry out business to the very highest industry standards. It means investing in staff training and skills development, adhering to health and safety regulations, having adequate insurance cover and running operations with honesty and integrity. 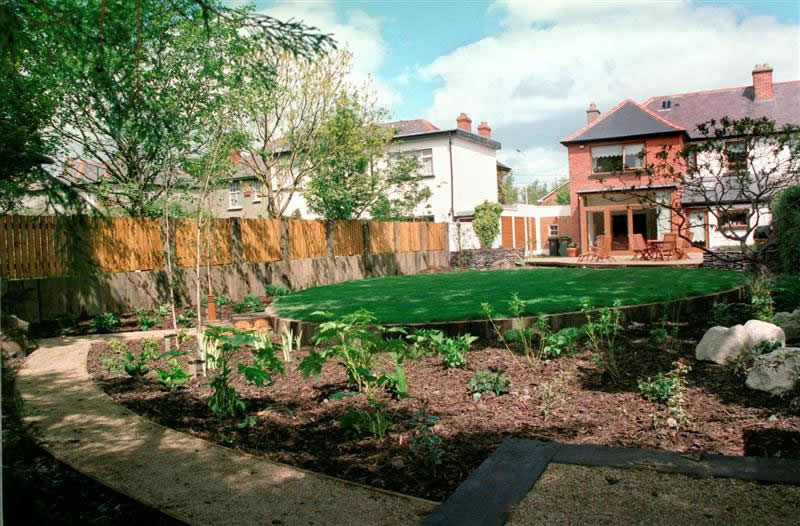 By choosing an ALCI professional Dublin landscaping contractor to design and construct your garden, you can be assured of professional excellence, value for money, and outstanding customer service. The following are testimonials earned by Kevin Baumann over the last few years to prove this. 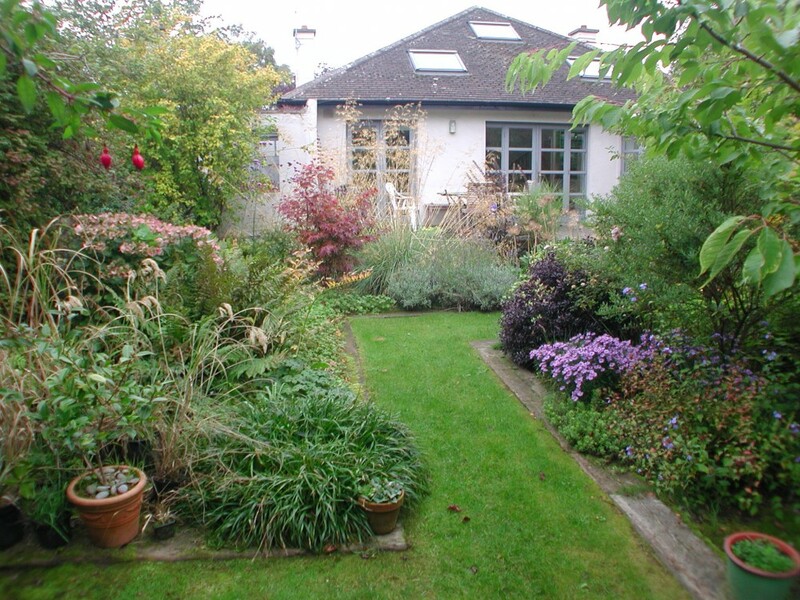 15 Years ago we contacted Kevin and asked him to survey our back Garden and give us ideas of what could be done to reduce maintenance as we were fast approaching 70 and wanted something that would provide us with our own little secret place that we could enjoy throughout the Year. A week later he came back with his proposal that contained some of our ideas. We discussed the plan and we decided to go ahead without delay. The work started the following Monday and was competed within the agreed time frame. The end result was a garden of exceptional beauty. From then till now it has matured and provided us with endless hours of enjoyment. 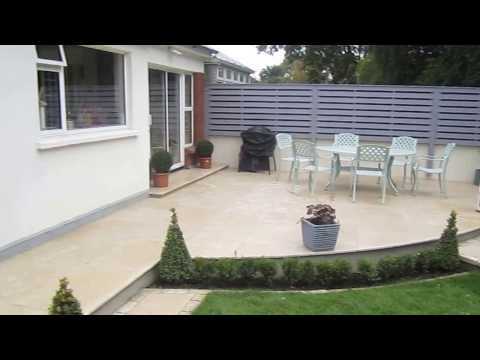 We are delighted to recommend Kevin’s Company, Landscaping.ie. Kevin is truly excellent. 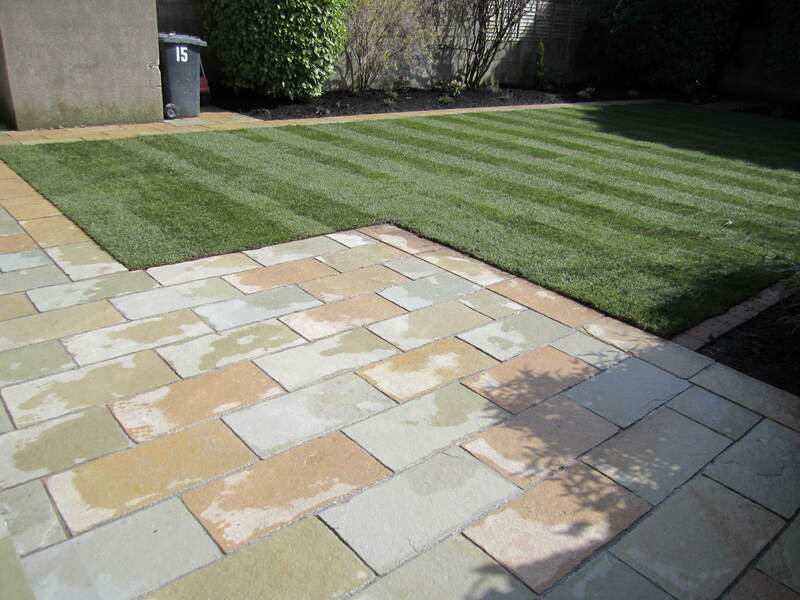 I would recommend Kevin to anybody who wants to get their garden looking superb. Kevin’s work is to the highest standard. 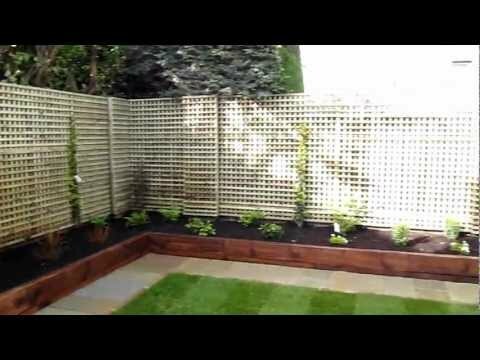 We got lots done on our job from small walls, paving, raised beds, fences, plants, trees and artificial grass; Kevin excelled at each. Kevin is dependable, when he gives us a quote, this is what you pay. He is accurate when he tells you how long things will take. 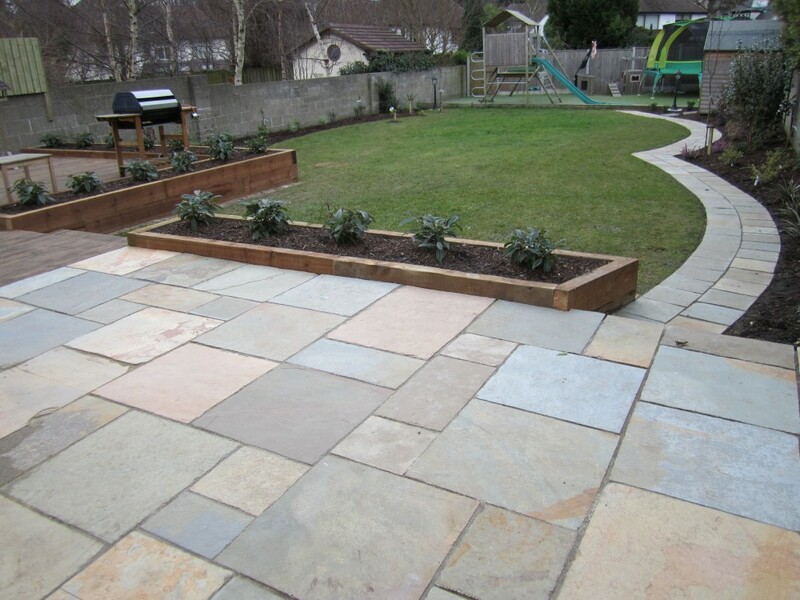 He works hard to deliver a high quality result and you can easily see his passion for landscaping. I have worked with many trades people over the years and he is definitely one of the best. If I had another garden to landscape I would not use anybody else even if I had to wait. Kevin has now completed work on our garden, front and back, and the results were outstanding. We now have an outdoor space that we can use properly with all the family. We have a super patio area for lounging and eating while the grass space was completely revamped and is now a proper play area for the kids. The fire pit was a nice addition which we use frequently. Kevin is a pleasure to work with and he is very flexible and adaptable during the entire process. 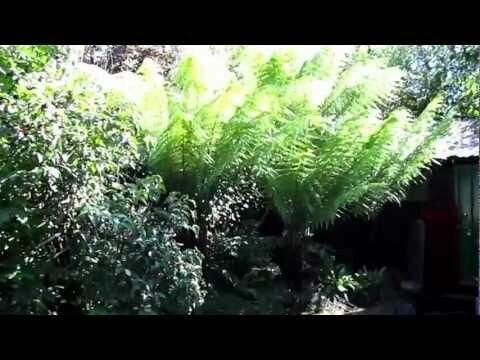 He has also just complete work on my mums garden with similar results. I have no hesitation recommending Kevin and frequently do to people who comment on our garden. 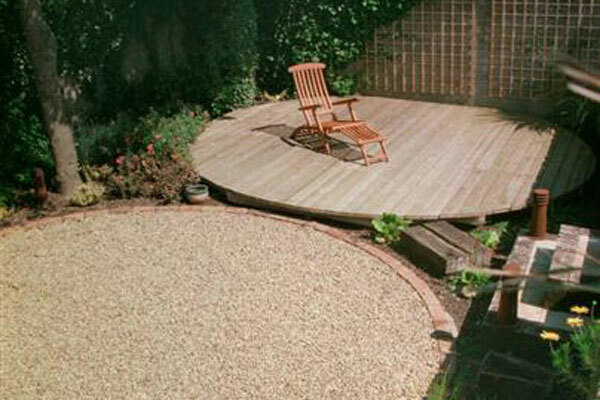 Kevin did a fantastic job of turning overgrown back garden to a beautiful Landscaped place. 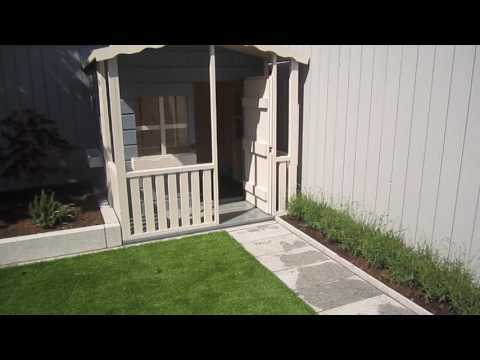 Kevin did an impressive job of creating a Future raised bed, a visually un obstructive Shed, an artificial grass feature and enclosed by ground level bedding. Finished up by simply beautiful lighting at key points in the Garden. With Lighting there is another page of visual beauty to enjoyed even from inside the house. 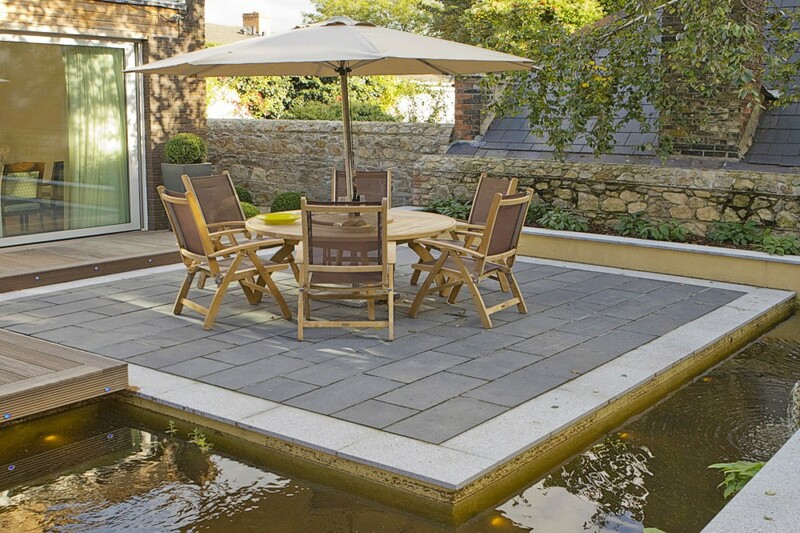 All in all, the Garden is now beautiful place for Guest entertainment or relaxation on own. Kevin has great knowledge on Landscape, plants and Lighting but most impressive quality Kevin is dedication to work, flexibility and his ability to come up with ideas about our needs. Kevin can go out of way in terms of time and effort, to not only to finish the job but too perfect it. We would have no hesitation to recommend Kevin, and in fact we are now planning of doing up our front area with Kevin. 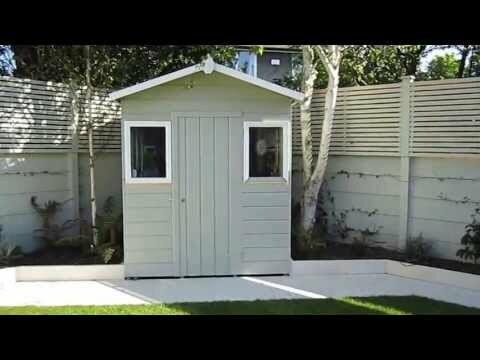 Kevin designed and built our back garden. 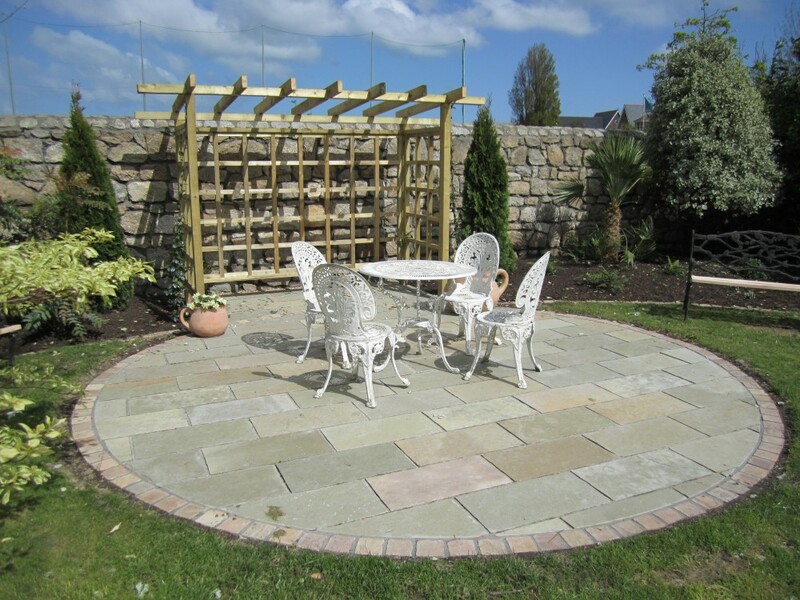 He provided a detailed and understandable plan that met our needs for our garden, providing us with a wonderful granite patio, a generous artificial grass area, and flowerbeds planted with carfully chosen plants and shrubs to suit our garden. Kevin framed our garden with fencing which he designed himself. 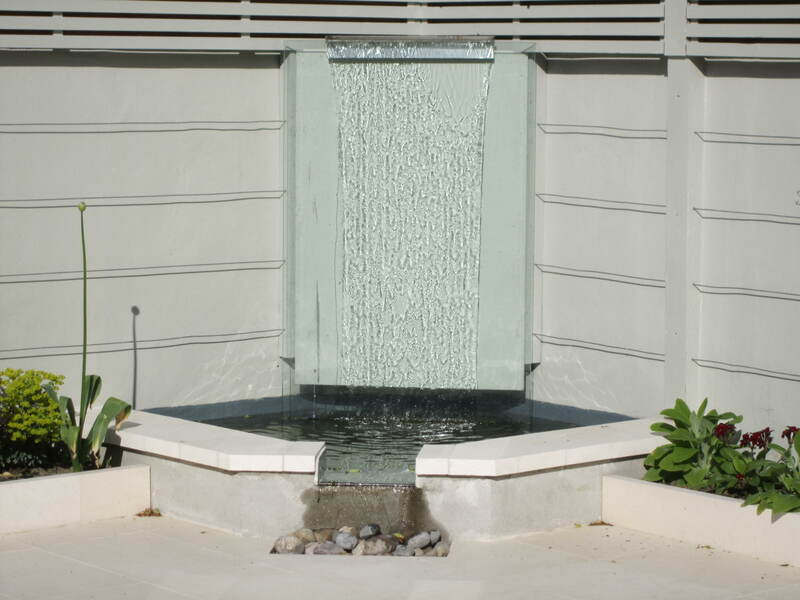 All the work was carried out in and efficient and professional manner. We found Kevin and his team to be extremely courteous and respectful, and they have created a garden that our family will enjoy for many years to come. 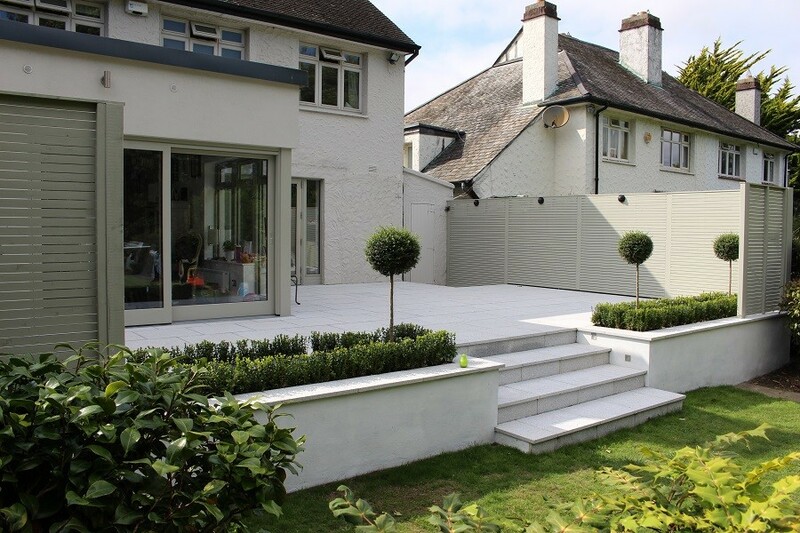 The quality of work carried out carried out by Kevin and his team was outstanding.His ability to listen and understand our vision for our garden was very impressive. As we have no side entrance to our house, the team ensured minimum disruption to our daily lives while carrying out the work. Their attention to detail was outstanding.The finished garden looks amazing . 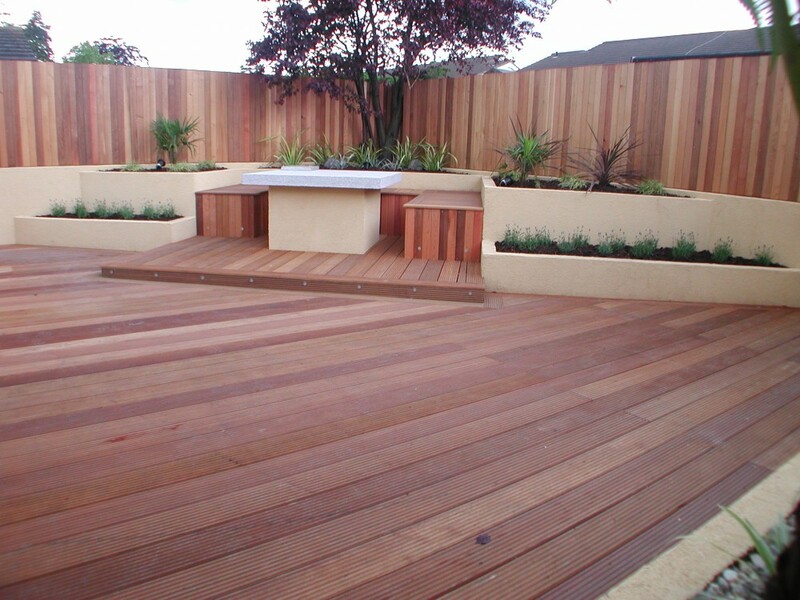 The entire process of working with Kevin in designing and creating our new garden has been an absolute pleasure. 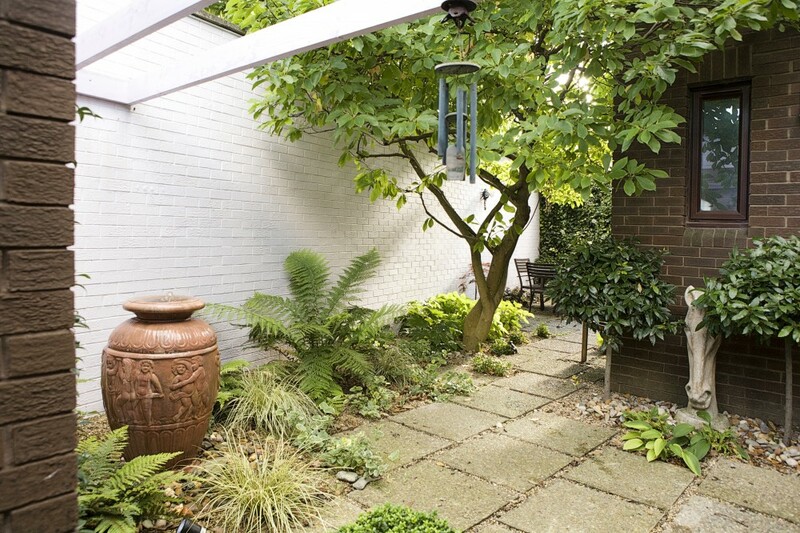 Our garden is small but heavily used which meant that every inch of space had to be maximised. The final design has left us with a beautiful space for relaxing, entertaining and spending time with family while still meeting all our functional needs. Kevin was great at incorporating our ideas into the overall design to ensure all our requirements were met and flexible in adapting the design as we went through the construction phase. It has to be said Kevin is an incredibly hard worker, he managed to work through some of the worst storms while he on site. 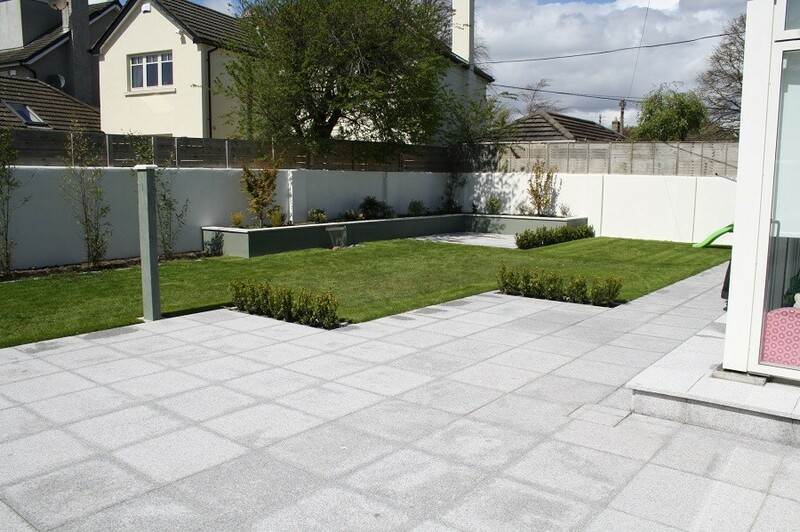 Overall we are really pleased with the quality and finish of the garden and would definitely recommend Kevin to anyone considering a project for their garden. Kevin has just completed a fantastic job on the front and back garden of our house. 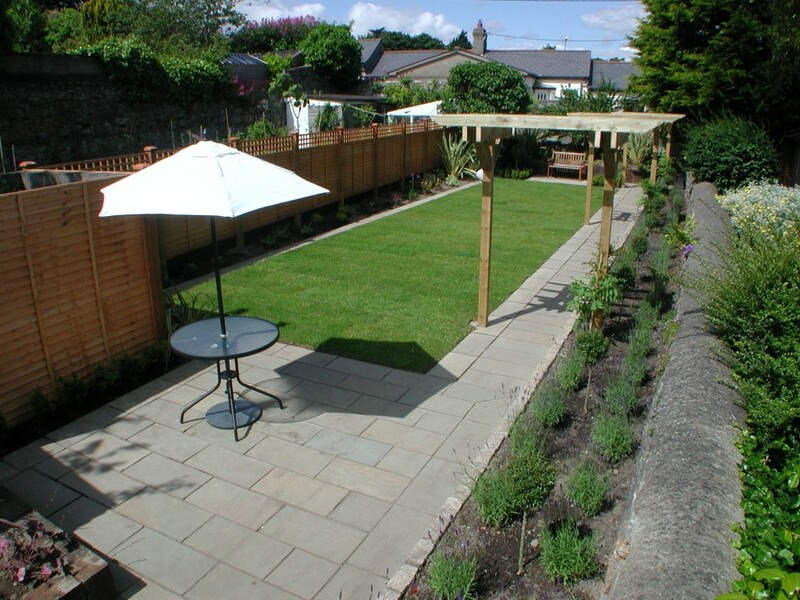 He constructed a large granite patio area at the back with raised flowerbeds including steps and seat, a herb garden, fire pit, screened wheelie bin area, side fence and gate and provided us with specialised planting throughout. 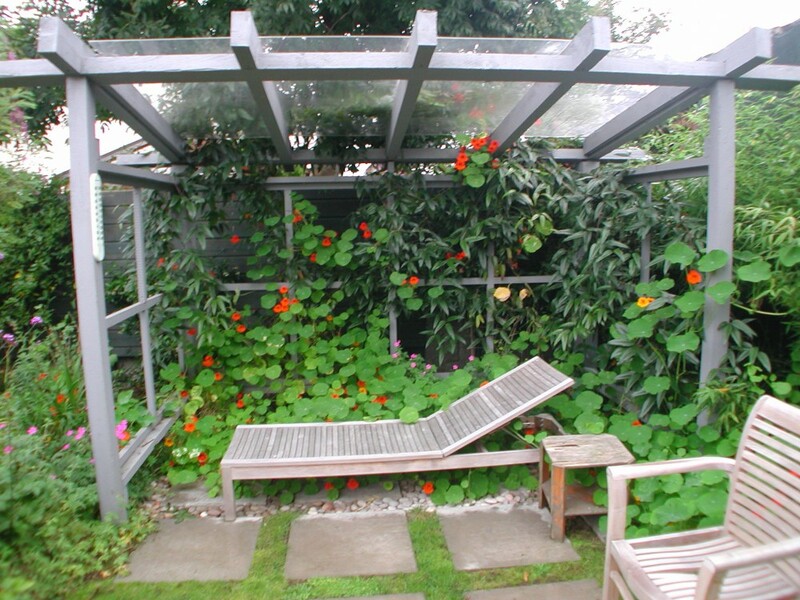 He has a very detailed knowledge of plants and was able to recommend the exact plants for us to finish our job . They look super. He removed our old paving stones at the front and replaced them with 3 fabulous flower beds, a granite patio, and a new tumbled oatmeal cobble skirting at our driveway entrance and apron. He installed new drainage and completed our drive with Ballylusk chippings. Many landscapers are good at either hard or soft landscaping, but Kevin is excellent at both. This combined with his unbelievable attention to detail is where Kevin excels. Hugely impressed with the garden that Kevin and team created for our family. Kevin combines vision and a broad range of ideas, with a sharp attention to detail and top-quality finish. He is easy to work with and we are delighted with the outcome. We would have no hesitation in recommending him. Kevin did a fantastic job of building a raised bed with a water feature for our garden. It looks great and is a feature of our garden. All our friends and neighbours comment on it. Kevin stuck to his timeline despite the terrible weather before Christmas and worked like a trojan. He was great with advice and tips for plants and planting. I will definitely be availing of his services again in the future and would highly recommend him. An absolutely fantastic job. Kevin & his team completed our garden ahead of schedule & the result was even better than we hoped. Would recommend to anyone for big or small projects. We would highly recommend Kevin. He landscaped both our front and back garden. Kevin replaced our untidy front garden with low maintenance gravel and a laurel border, which looks great and allows extra parking if needed. 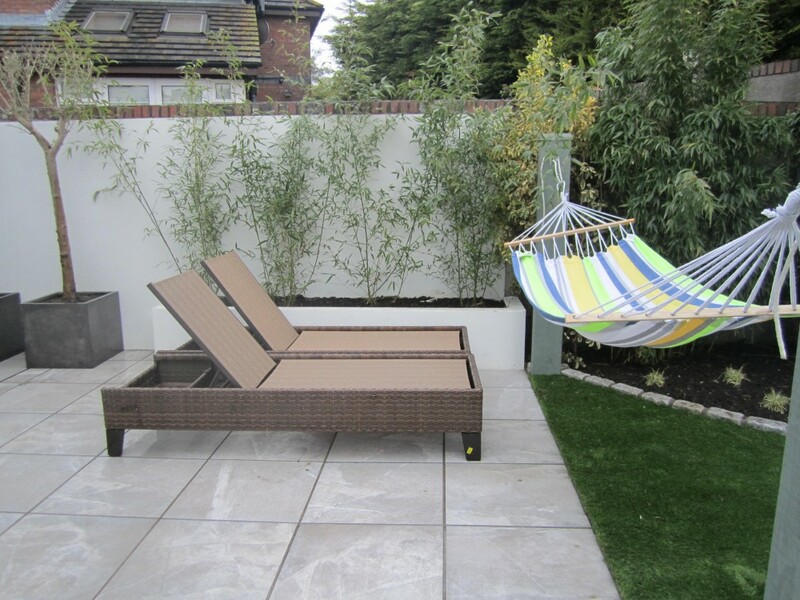 His clever design totally transformed our back garden and made the most of the space which is now a great play area for the kids and place for al fresco dining. 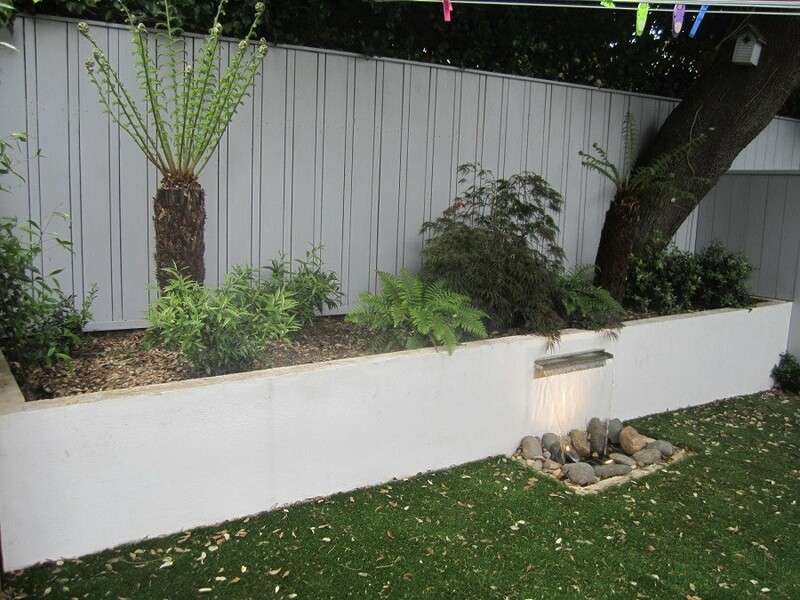 Kevin landscaped my rear garden which included a Travertine Patio, synthetic grass with a cobble border, rendered raised beds and a blade water feature. 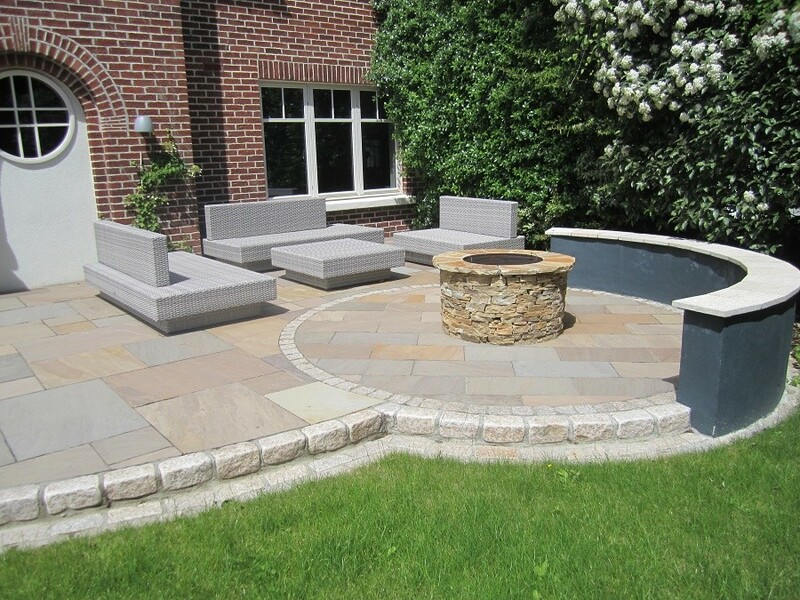 I originally had my mind set on an egyptian limestone patio but kevin talked me out of it and recommended the Travertine patio which when laid was the best decision ever. 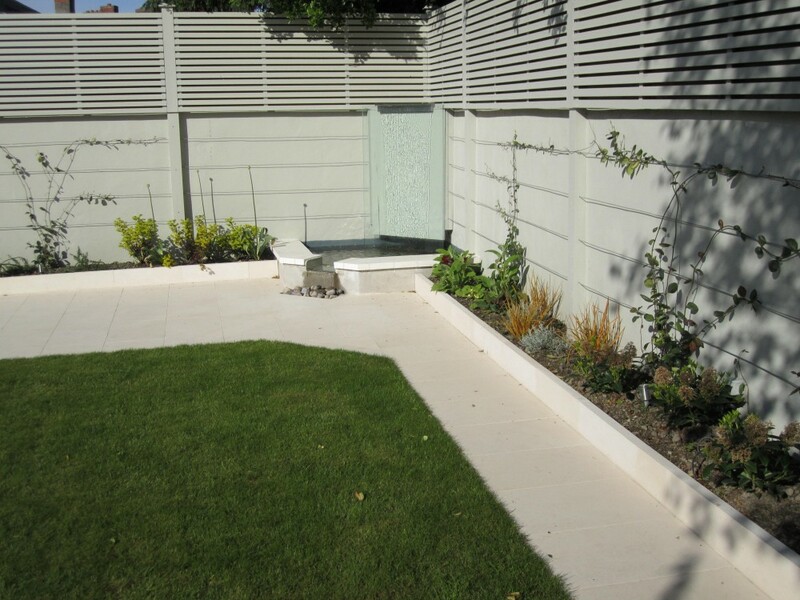 Kevin also assisted with choosing plants which complimented the garden design. Overall i was extremely happy with the end product , their cleanliness throughout the job and the fact that i got value for money. We were very happy with our new garden!! Kevin is so knowledgeable on all aspects of the garden. He worked to the deadline given, and within budget, the best landscaper we have ever had. Kevin created a wonderful low maintenance garden. Great service. Pure professional. Couldn’t have asked for a better result. Kevin did another outstanding job at the front of our house, couldn’t fault anything. Fantastic work by a local landscape gardener. 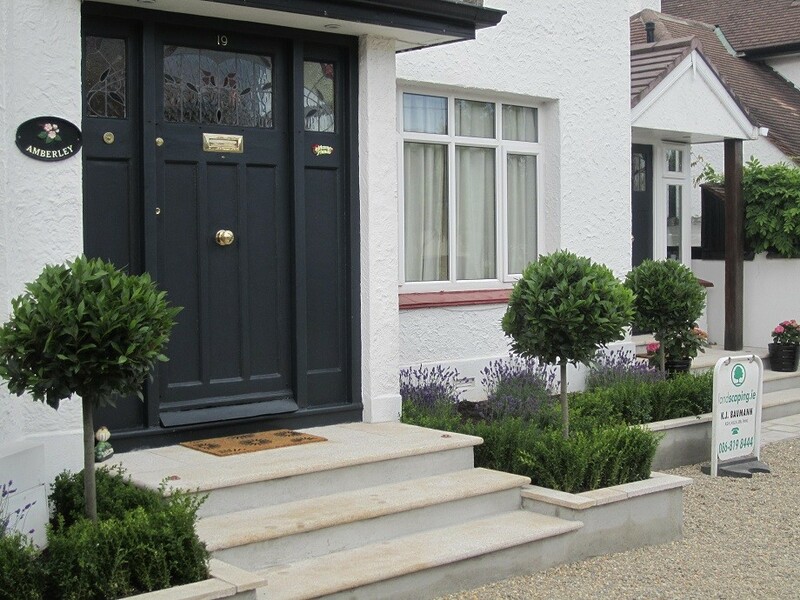 Tasteful and elegant garden designs beautifully executed. We had some ideas, but we went with Kevin’s suggestions and the garden looks amazing. The design fit with the surroundings and it’s a pleasure to spend time in. Really quality work. Everyone who sees the garden asks about it. It fits the shape of the house and the space perfectly. 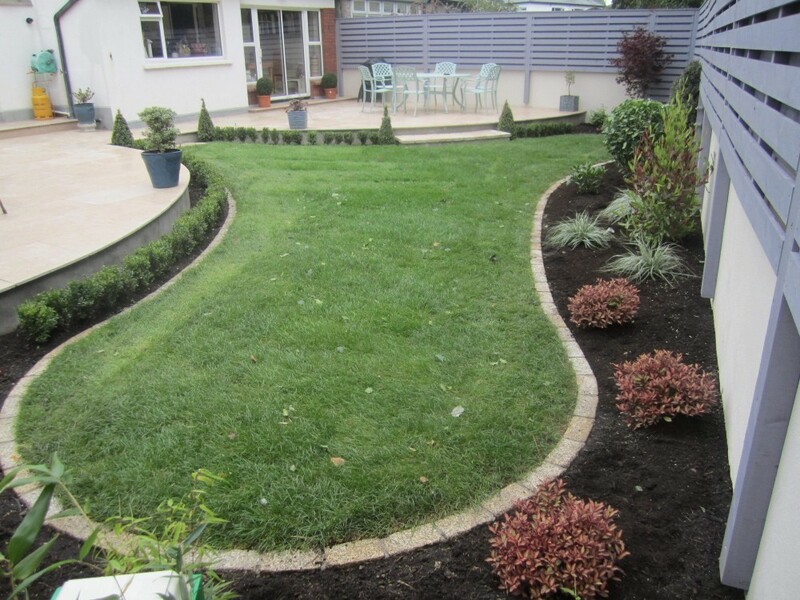 If you require a Landscaper Dublin Contractor or a Landscaping Dublin Garden Designer contact Kevin Baumann on 086 8198444.